Across the country, people with EIB (exercise-induced bronchospasm) are committed to being active! 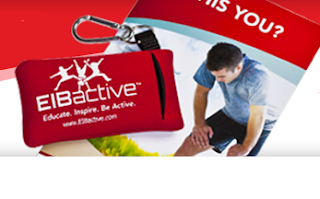 This free EIB Active™ Kit can help you achieve your goals. You will receive an inhaler pouch, perfect for keeping a quick-relief inhaler like ProAir® HFA close at hand, as well as a brochure that helps you learn more about managing EIB and how ProAir® HFA can help. Remember, Frugal-Freebies.com doesn't give out the freebies, I only post the freebies I find on the net. To increase your chances of the freebies arriving in your mail, you could stick to the offers from the larger companies (i.e. : Wal-Mart, P&G, Kroegers, Sam's Club, etc.). However, lots of readers post on the Frugal Freebies forum saying they can't believe the amount of free stuff they've received in the mail, even though not every freebie will turn up from the other sites posted.